Get expert advice on a personal injury claim with a free, no obligation consultation. 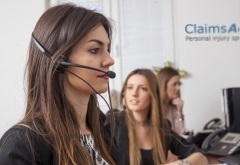 The term ‘personal injury claim’ is used to describe a broad range of injury and accident types that one might need to claim compensation for. It could refer to any physical injury sustained in the workplace, on the road, in a shop or in any public place because of negligence. Personal injury claims also cover injuries or illnesses resulting from medical negligence in a hospital or industrial diseases such as asbestos related diseases. The injury does not necessarily have to be physical. Psychological injuries are also covered provided that they meet all other criteria. Anyone who has sustained an injury or contracted an illness or disease as a result of another person’s negligence is entitled to file a personal injury claim and claim for compensation. As a victim of personal injury, you may have varied reasons for wanting to file a personal injury claim. One of the most common reasons is so you can be at least partly compensated for the pain and suffering which has been endured as a result of the personal injury. When you are injured you may find that you need to take time off from work to recover. Claiming compensation, for instance a personal injury claims car accident, can ensure that you can afford to take the time you need to recover fully, without having to worry about lost income. Besides medical expenses, loss of income is the single biggest worrying factor for anyone who has suffered any injury. Getting reimbursed for the medical expenses and lost wages can at least help ease this overwhelming financial burden. Another common reason for filing personal injury claims could be to obtain a sense of justice, whether for yourself or for a lost loved one. Winning a personal injury claim can sometimes make all the difference to you and your family. It can help everyone find much-needed closure and get on with the rest of your lives. For others, filing for injury may not be about claiming compensation. They may choose this route in an attempt to make radical changes in existing procedures so that nobody else may have to go through the same painful experience. One of the most important factors governing personal injury claims cases is the time limit. In the United Kingdom the standard limit of time within which a personal injury claim can be filed is 3 years. If legal proceedings are not initiated within 3 years, the case is considered time-barred and you are no longer entitled to claim. Many people who lose their accident claim for compensation do so only because they waited too long. The 3-year deadline commences either from the date that the accident occurred or from the date when it was confirmed that your injury was directly or indirectly linked to the original accident or exposure – also known as ‘date of knowledge’. In fatal cases that are directly or indirectly associated with the accident or exposure, the 3-year limitation begins from the date of death. Different laws apply if the injury occurred outside the United Kingdom, depending on which country the accident occurred in for which you need to make a personal injury claim for, and other factors. 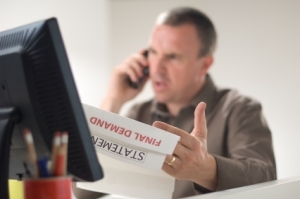 Should You Contact A Personal Injury Solicitor? There’s no question about it. If you are a victim of personal injury, you absolutely should contact an experienced personal injury solicitor. Personal injuries cases can be complicated and time-consuming. When a case is filed, the person or company it is filed against is almost certainly going to contest it, leading to a long drawn-out battle. What’s more they could throw every little loophole they can find into the case in an effort to throw it. Unless you are fully conversant with all of the nuances of the law, it is almost impossible to win a accident claims case that you file without the help of a solicitor . Experienced personal injury solicitors are familiar with the legal process. More importantly, they are familiar with precedents that they can use to leverage even the weakest personal injury case. With the help of an experienced solicitor, the personal injury claims process can be easier and quicker and your chances of winning compensation should therefore be much higher too. 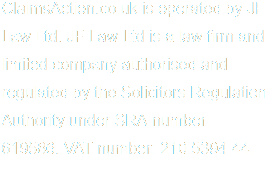 If you are worried about solicitors’ fees, you don’t have to be. Most solicitors today have a ‘No Win No Fee’ clause. This means they will first gather all the information regarding the case and will only take it on if you have a strong case. Once they decide to take on your case, they will not charge you any upfront fees. Only after you have won the case and received the compensation are you liable to pay them the percentage that was agreed upon. In the event that you do not win the case, you do not have to pay any fees at all. For you, it is a no-risk decision and you have everything to gain.